Went to his new home on Sunday 9th July 2017 . 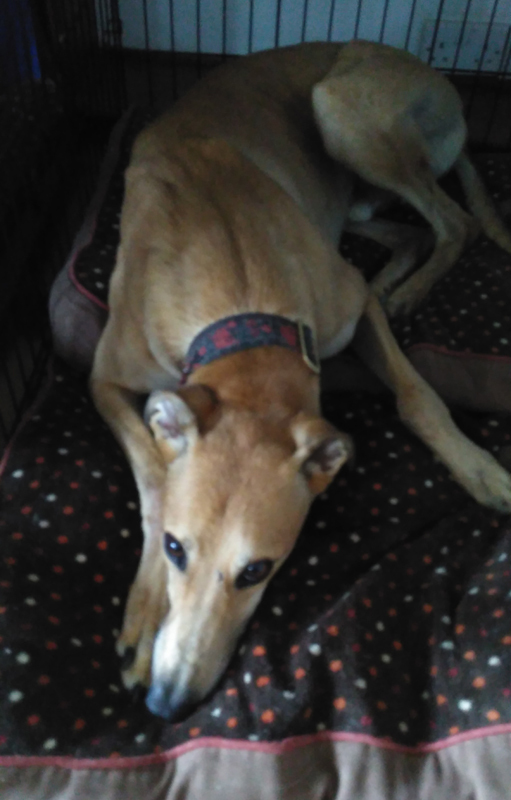 Davy is a 3 1/2 year old fawn ex-racing greyhound who weighs about 31 kg. He is house trained, neutered, inoculated and microchipped. He's a really friendly chap who loves to nibble and play with your hands, loves affection, walks lovely on the lead, gets on okay with the other breeds of dogs he's seen out and about so far and he travels well in a car.